Whether you are responsible for business continuity planning, setting priorities for internal audit, or allocating resources for GRC improvements, you will need to first understand the impact of each business process on your company’s ability to achieve strategic objectives. Principled Performance – the ability to reliably achieve objectives while addressing uncertainty and acting with integrity – starts with knowing what level of impact each process has, what risks each presents and how quickly any disruptions must be addressed to ensure performance. Being able to “bounce back” from adverse events is key to maintaining success. 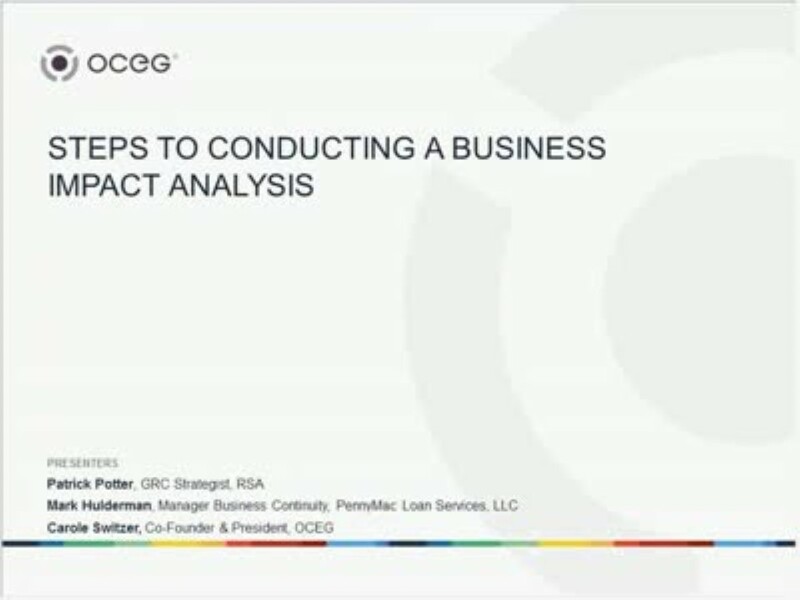 We have emailed instructions to access Steps to Conducting a Business Impact Analysis to . Make sure the email arrives in your inbox: either add "support@oceg.org" as a safe sender to your email platform, or if you use Gmail, drag our email into your Primary tab.